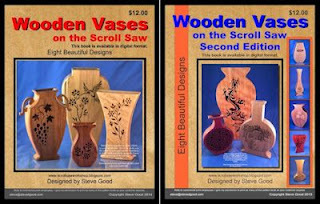 Live Flower Scroll Saw Bud Vase. 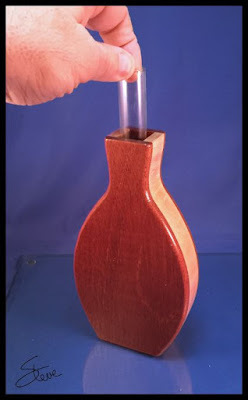 This is a simple to make bud vase using a glass test tube. 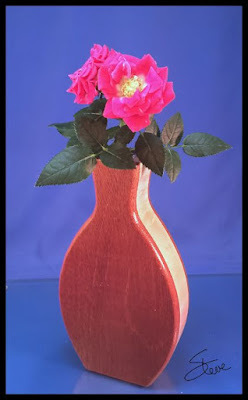 The vase stand 7.5 inches tall. 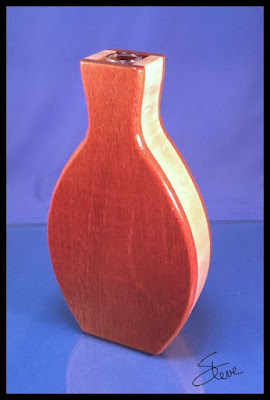 The front and back are cut from 1/4" thick wood and the center is 1" thick. The test tubes were purchased om Amazon at this link. The link is current as of the date of this post.You get 10 tubes for under $10. The test tubes are 20X150mm. This pattern has no interior cuts. 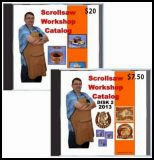 That makes this the perfect project for the beginner scroller. The project does require quite a bit of sanding to get the edges flush and it helps to have power sanding tools but it can all be done by hand with a bit more elbow grease. Complete instructions are included in the pattern.